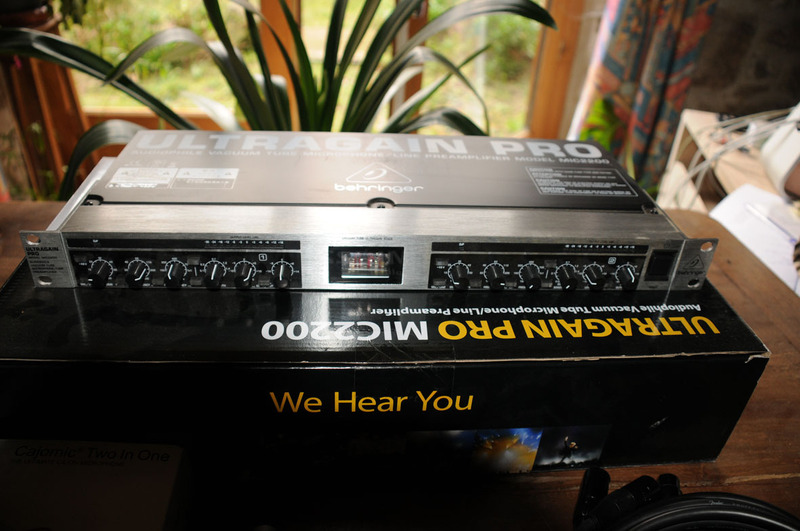 Ultragain Pro MIC2200, Tube Pre-amp from Behringer in the Ultragain series. The MIC2200 has integrated parametric EQ’s which give you extra sound-shaping power, while its built-in tube adds warmth and transparency to your signal. In addition, the ULTRAGAIN PRO features direct injection and level conversion functionality. Zig99's review"Good, practical unit for the money "
I bought this unit to supplement my Positive Grid Bias Mini Guitar Amp. The Bias Mini is an amp modeler. It sounds great but the 'valve sizzle' was missing in the signal chain. The MIC2200 adds sufficient warmth and sizzle that an amp modeler cannot give you. The MIC2200 also has a precise EQ that I use to filter out annoying mid frequencies in the guitar signal. I have tested the MIC2200 with a condenser microphone going into my DAW. Although I will use this pre-amp for other instruments when recording, I will not use it on vocals. This is not because it doesn't sound good but because most tube pre-amps color a signal and I happen not to like the colorization of tube pre-amps on vocals. I've read a lot of criticism of the LED light in the background and hissing noise. These statements are nonsense. Who cares whether Behringer decided to dramatize the tube-look by installing lights behind it? Hissing is a natural by-product of tubes when pushing them. During normal input/gain levels, I found no discernible hissing. Any minor hiss generated, if at all, will be lost in the mix. If you are recording pristine, clear audio, I wouldn't use a tube pre-amp anyway. However, I have heard of professional studios using Behringer gear and this particular tube pre-amp. I worked in the music industry for three decades. I've used and owned brand products such as Digitech, Alesis, dbx, Mackie etc. All good stuff. But when Behringer hit the market, they were ridiculed by established studio gear manufacturers because they feared the competition. I now own a range of Behringer products after upgrading my gear because the price, quality and features are generally better than that of overpriced competitors, who by the way nowadays also manufacture in Asia. To date, only one Behringer product has had an issue. The unit was replaced immediately. Behringer's reputation, as far as I am concerned, is excellent. This unit comes in a 19" rack size. Build quality is excellent and the EQ, phantom power and balanced/unbalanced in and outputs are great at this price point. Sound is a personal matter, and as stated above, I wouldn't use any tube pre-amp on vocals (unless doing some old Frank Sinatra stuff and I want that creamy, smooth, tube sizzle). I use it for instruments for which it is serving its purpose really well. Obviously, if you don't like the sound of the MIC2200, then don't buy it and don't give it a bad rating because of that. If you want to spend $5K or $10K on a tube pre-amp, and you actually believe that you get a substantially better sound, then go for it. Overall, you get a lot for AU $189. With the condenser microphone the sound is very correct! I read on the net that here the lamp is useless, so I tested several lamps and I observed the differences. I finally replaced by a Sovtek 12AX7 Messa Boogie and the sound became even very good! 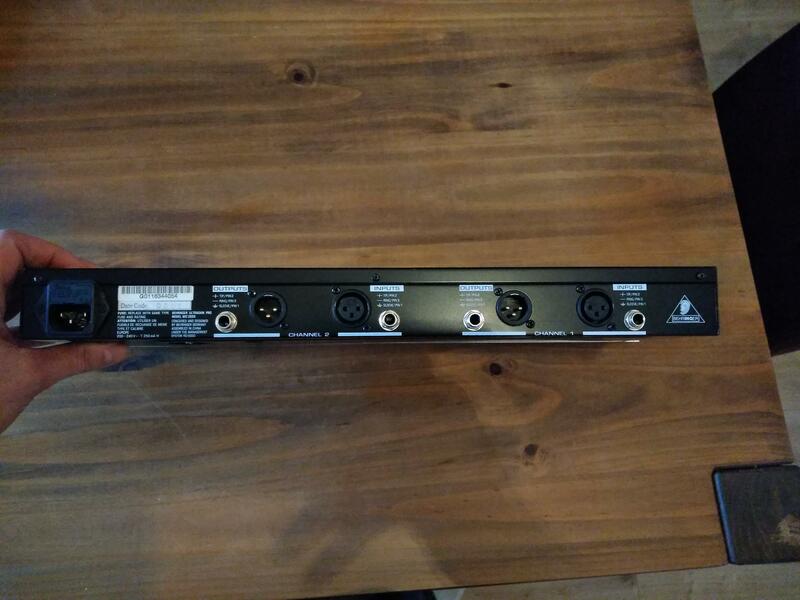 claude1's review (This content has been automatically translated from French)" Very good for small budget"
rack model in Xlr and 6.35, supply Phamtom 48 volts and as always with behringer attention to impedance input \ output. no transparency lamp plays its role and therefore color the sound with the equalizer as such. This rack is not expensive and very correct.Je do not understand people who "break" and behringer in general. I would try out this preamp with Telefunken lamp to see. 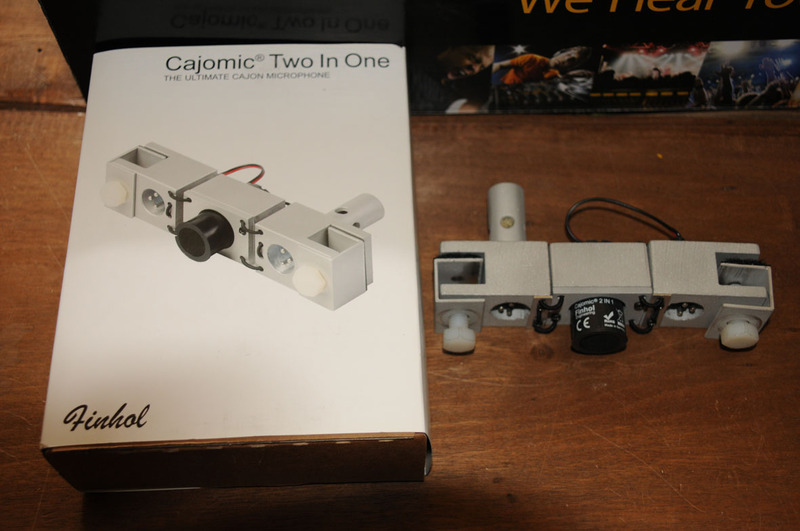 tamfranc1's review (This content has been automatically translated from French)" not nice"
in fact it is neither transparent nor colored was neither benefits nor transistor lamps. I'm not a thug systematic Behringer. I have a good tube microphone and a pedal of this brand that I would not change it for the world. but there no interest. I sold it after trying to use it for a year. in any case it did not fit what I wanted in terms of heat and light of a lamp preamp. 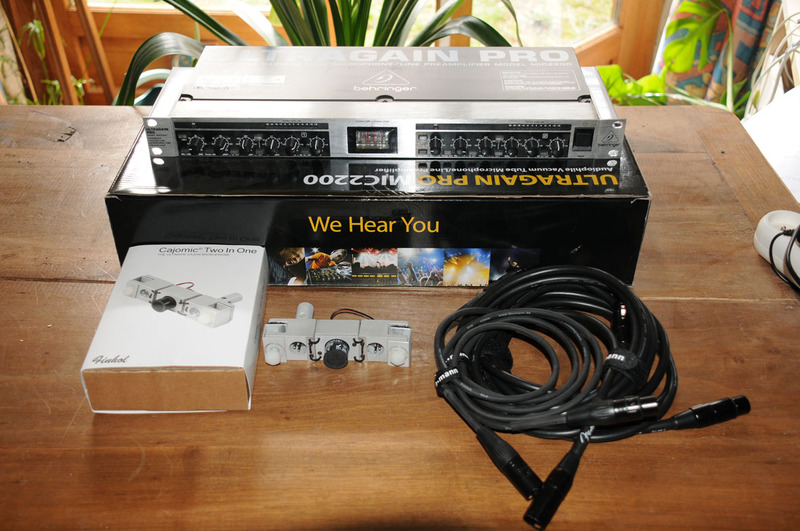 to avoid even more for the price you can find good secondhand small preamp.